It wasn’t anything like that! He wanted to interview more qualified candidates, but unfortunately, only fewer than ten people actually read the application and filled it out properly. Out of the dozens of people who applied, surely most were capable. Yet they couldn’t even get to the interview stage because they didn’t read or fully answer the questions. This isn’t an outlying case, either. I’ve done my share of hiring writers, newsletter managers, virtual assistants, and designers. Yet I and many people I know have had our share of frustration hiring people simply because they can’t follow instructions. So you want to be a virtual assistant (or writer, designer, etc.)? 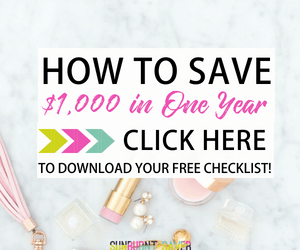 Do you want to know the one trick to being better than many other virtual assistants out there? 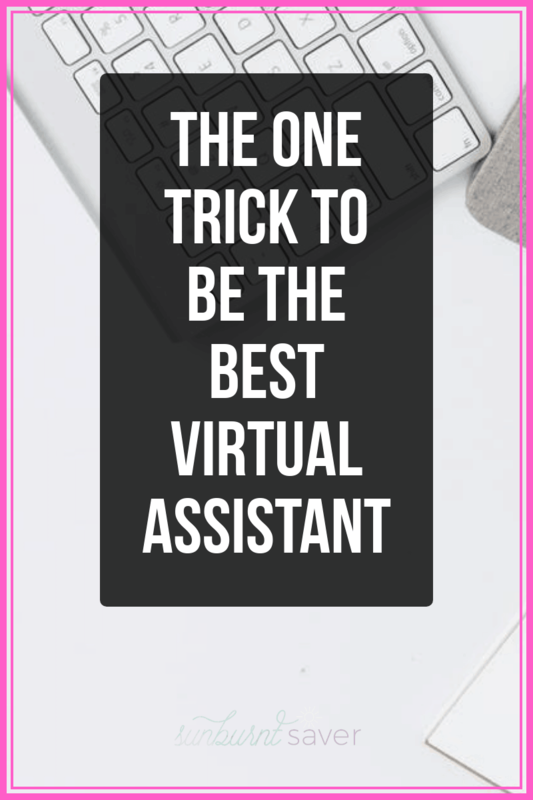 There’s really only one trick you need to know to be the best virtual assistant! The only thing you need to know about being a rockstar VA? 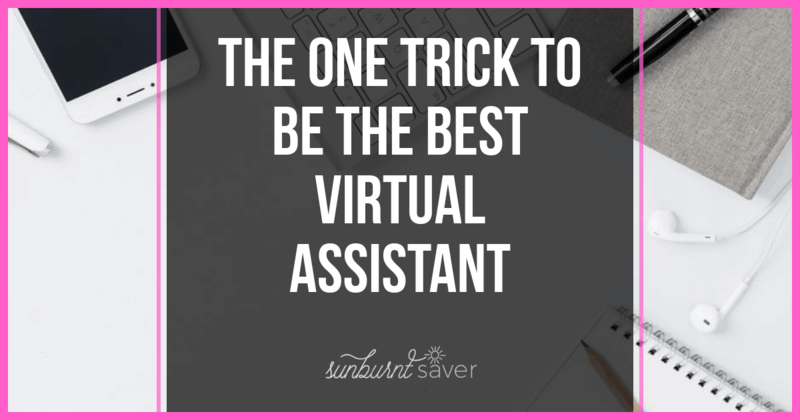 To be the best virtual assistant, you need to follow through! Follow through on getting jobs in the first place – how many times have you talked yourself out of a job because you figured you were too late and the hiring person already probably had enough candidates? While that’s sometimes true, more often than not, it’s NOT true. So send in your application – follow through! Follow through when you see a blogger mention something on Twitter or Instagram – If you’re looking for clients, there are a ton of potential opportunities on Twitter, Facebook, and Instagram. Keep your eyes open for people mentioning they’re overwhelmed, hate a certain task, or wish they could find a solution to something that takes a lot of time. 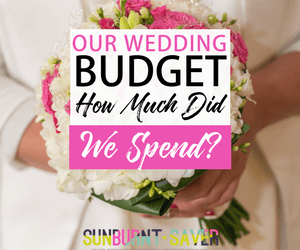 Follow up via social media – you could be that (paid) solution! Follow through on what your client asks – once you have been hired by a client, or they’ve hired you to complete one assigned (paid!) before they hire you, it’s time to follow through! If your client asks you to create an outline for an upcoming post, get to it as soon as you can. Do some research, draft the outline, and email your client as soon as you’re done with the outline with a link to it. So many VAs just draft the outline, don’t do research and/or don’t email the client when they’re finished. Your clients aren’t mind readers, and they hired you to take things off their plate – email them when you’re done and let them know! Do you notice the one thing all of these tricks had in common? Follow through! Follow through when you see a job post (yes, it might take you a couple minutes to create a resume and submit your application, but once the resume is created, you won’t have to do it again! ), follow through when you see other people asking for help, and follow through on everything your client asks for. It’s really that simple! Be humble – don’t think that you’re the best. you might BE the best, but if you refuse to work with smaller bloggers or try to charge way too much from the beginning (i.e. without a portfolio), your attitude will say a lot about you… in a negative way. Pay attention to detail – you would be surprised by how few people read carefully! if your client has asked you to do x, y, oh and z, and a, make sure you do X, Y, Z and A. Don’t just do X Y A because you missed Z in the paragraph. Go above and beyond – especially if you like your client and want to continue working with them, do little things that don’t take much time but make things easier for your client. For example, if you’re drafting an outline for a client, go through their site or work and find related links to include in the outline. This helps your client get more internal linking, saves time for your client, and shows your client you’re paying attention to their work. Honest mistakes are one thing, but a pattern of not following through or being careful demonstrates you don’t really care about your client’s work. It’s great to go above and beyond, and deliver more or on a faster schedule than you initially said, but if you don’t check every box and make sure you followed through (pleasantly! ), your client isn’t going to be impressed you turned it around on time, because the work isn’t complete. Now, nothing in life is guaranteed, but if you want to get a good start on being a rockstar virtual assistant, I highly recommend Kayla Sloan’s 10KVA course (referral link!). Kayla started as a virtual assistant, and she is amazing. 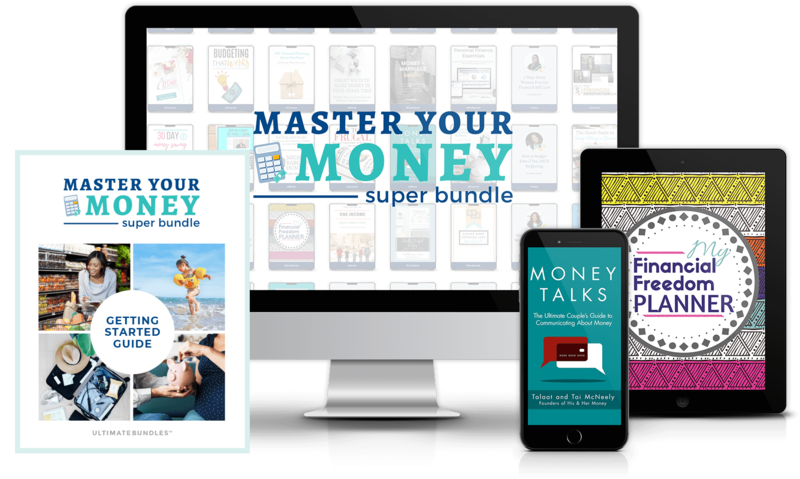 She has made thousands of dollars and made being a virtual assistant a full time job – you can check out her income reports here! Kayla and I started virtual assisting around the same time, and trust me when I say she’s the real deal! She and I have overlapped on client work (in different fields), and she exemplifies what it means to be a rockstar VA. Talk about follow through – Kayla’s worked with some huge clients and always provides excellent service. She’s one you definitely would want to take a VA course from! Kayla: That’s ok! I’ll teach you exactly what a VA is and does, and what VAs shouldn’t be expected to do, too! You can learn more about the course and purchase it here. Have any questions? Let me know in the comments! Great post! Pinned! Thank you for sharing on Merry Monday! Hope to see ya next week! 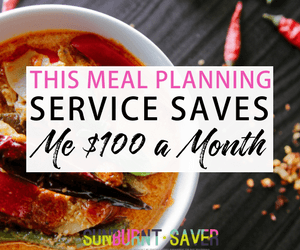 This is a great all-around article about virtual assisting, and I love your main tip. Following through really is key in seeking all kinds of jobs, not just VA. Great post!